Microsoft’s disappointing iOS keyboard is not as feature-packed as its Android counterpart. Microsoft is finally becoming mobile, especially for iOS users. The redesigned Outlook app is top-notch, especially with recent integrations with Sunrise, Facebook, and Evernote. 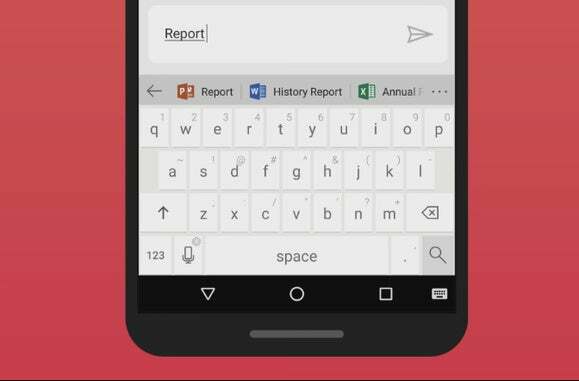 Microsoft also recently acquired SwiftKey, which means that we’re only going to see the Office-maker bolden its mobile offerings. In line with the strategy, today Microsoft released its Hub Keyboard for iOS (iTunes). Office365 users can sign in to their account and then bring up the third-party keyboard on their iPhone or iPad to instantly access links to OneDrive files and contacts, both from work and those stored on your phone. And that’s about it. Hub for iOS lacks two features that were introduced earlier this year with the Android version. You can’t access a recent list of copied phrases in the clipboard and there is no translator tool. 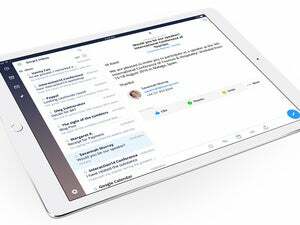 Even die-hard Office365 users who live on OneDrive might not be that impressed with the Hub Keyboard for iOS. It’s not really the “hub” the name implies because it’s just not as robust as other third-party keyboards already out there. I immediately think of Thingthing Keyboard, an iOS keyboard perfect for mobile file-sharing. Thingthing integrates not only with OneDrive, but Dropbox, Google Drive, and even Instagram and Flickr. The Hub Keyboard is just not equipped for people who have files stored throughout various services or who may want to send a co-worker a funny photo of their cat from Instagram. And even if the Hub Keyboard for iOS eventually gets the smart clipboard and translation tool already available for the Android counterpart, it may still not be enough. I was disappointed to read that Microsoft was planning to discontinue Sunrise as a standalone app, opting instead to incorporate its best features into existing services like Outlook. 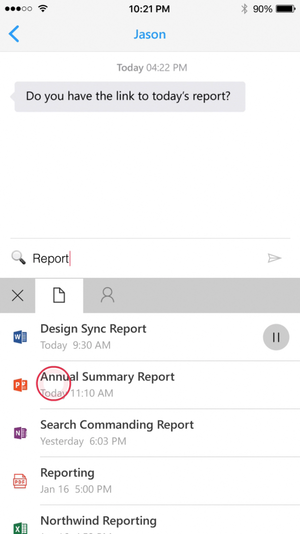 Microsoft has already integrated a lot of Sunrise’s key functionalities into the new Outlook for iOS, but if Sunrise is shutting down for good, I want its features to be more integral in other Microsoft products. The Hub Keyboard was the perfect opportunity to incorporate Meet, the keyboard the Sunrise team built to seamlessly schedule appointments with your contacts. Meet lets you choose available meeting times and automatically creates a link where the respondents can chime in as to their availability. Once a date and time is confirmed by both parties, the event gets put in your calendar. That type of functionality is ideal for Office365 users on iOS. Why this matters: Microsoft’s new keyboard aims to make Office365 more mobile-friendly. But the Hub Keyboard lacks a smart clipboard, a translation tool, and calendar support, which is truly disappointing considering Microsoft could have easily implemented them all. Right now there is little motivation for me or any iOS user to install and use the Hub Keyboard. At the very least, I need the same features already available on Android. And if Microsoft really wants me to forgive them for buying Sunrise only so they could kill it, then integrating Meet into this would have been a good way to start.